Welcome to the Neotropical Raptor Network! The NRN is a membership-based organization aimed to enhance the capacity and effectiveness of people working with raptors in the Neotropics. Its goal is to aid the research and conservation of Neotropical raptors by promoting communication and collaboration among biologists, ornithologists, raptor enthusiasts, and other conservationists working in the Neotropics. The NRN also convenes a Neotropical Raptor Conference approximately every four years. The founding Neotropical Raptor Conference and Harpy Eagle Symposium was convened by The Peregrine Fund in Panama City, Panama, in October of 2002. The second Neotropical Raptor Conference was held in Iguazu, Argentina, in June of 2006. The IV Neotropical Raptor Conference was held in 2017 in La Fortuna, Costa Rica. 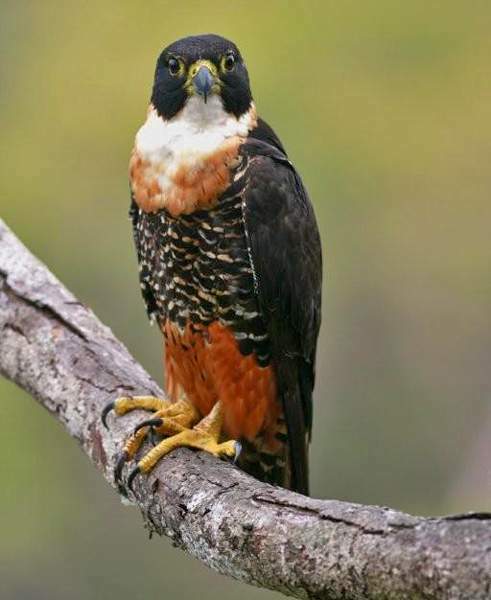 Learn more about the V Neotropical Raptor Conference. To keep members abreast of other developments in the world of Neotropical raptor research and conservation, we publish a bi-annual NRN e-Newsletter . The Newsletter brings people up to speed on the activities of the NRN, events in Neotropical raptor research and conservation, involvement opportunities, and it also serves as a showcase for those who would like to relate their work and stories with Neotropical Raptors. Check it out! The NRN may also engage in Scientific and Conservation Projects . Conversations from the Field - To help spread the word about the amazing work many of our NRN members are doing, Markus Jais and Yennifer Hernandez have begun conducting interviews with raptor biologists working across Central and South America and the Caribbean, with many different raptor species. To read their latest interview with Santiago Zuluaga, Director of Fundación Proyecto Águila Crestada-Colombia (PAC-C), whose goal is the long-term conservation of the Black and Chestnut Eagle ( Spizaetus isidori ) in Colombia, click your preferred language: English | Spanish | Portuguese. The December 2018 issue of Spizaetus is now available!